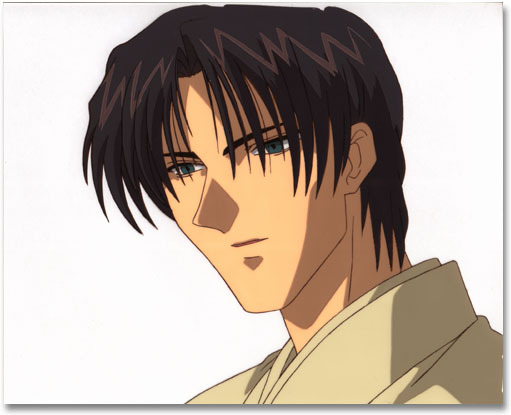 Aoshi from one of the later TV episodes. He desperately wanted the title of "the strongest" for his Oniwa Banshuu, but, like so many other Rurouni Kenshin characters found that strength has its price. I admire his loyalty to those he led, even if it did drive him a bit off the deep end.